The ability to invest in companies that share the same core beliefs was a challenge that until recently was largely out of reach to individual investors and available only to the Venture Capital elite. This interest in impact investing — where people use their money to invest in companies that are making an impact in areas the individual is passionate about — has risen dramatically in recent years. In parallel to this movement, the popularity of crowdfunding campaigns sparked by the likes of Kickstarter, Indiegogo, and Go Fund Me have created the right conditions for the two to meet in the form of equity crowdfunding. Equity crowdfunding enables investors the same unique ability that Kickstarter gives individuals to get in touch with startups directly, to connect with their mission and, ultimately, to fund them. OurCrowd* emerged as an early player in the cleantech equity crowdfunding scene, as it secured exclusive seed round equity positions in some of the hottest cleantech startups. Through these connections, it has enabled passionate green-tech investors to back these companies. For green tech specifically, this movement has been critical to catalyzing startups around the world that have brought countless technologies to bear on solutions that previously struggled to obtain capital through more traditional methods of financing. Over the years, OurCrowd has emerged as the elite marketplace for cleantech equity crowdfunding. One of the startups OurCrowd is currently an early investor in is Taranis, which it funded across several rounds of seed funding that allowed the Taranis team to turn an idea into a full-blown ag tech solution. Taranis is a farm management solution that takes the multitude of data streams and sensors available to farmers and turns them into insights. 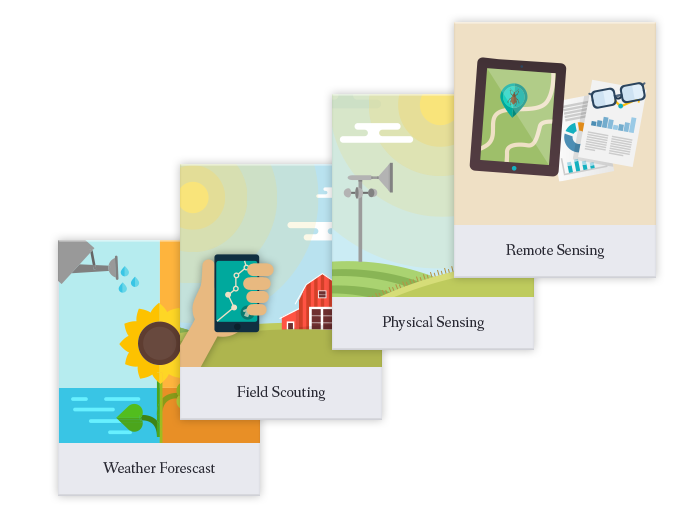 The solution integrates weather data, satellite imagery, on-site weather stations, and input from a field technician app called SmartScout that together provide a holistic look at the health of the farm. SmartScout then utilizes its ability to send messages out to farm service providers like agronomists and field technicians to communicate work priorities each time they visit. Taranis also utilizes this data to predict and prevent crop disease and pest-related losses, with the aim being to help farmers increase yields, cut costs, and reduce pesticide use through more accurate deployments as opposed to blanket application. This new approach to rolling big data together into a purpose-built tech toolkit for farmers has been shown to drive increases in profits of more than 15%. Integration of weather and satellite information into farm management systems is nothing new, but Taranis takes those systems to new levels of granularity. The satellite imagery, for example, is provided at a resolution of 0.5 millimeters per pixel as compared to typical satellite imagery resolutions of between 5 and 25 centimeters. For its weather data, Taranis has built its own proprietary weather prediction model, which has increased the accuracy of its forecasting by 6x. Current global models deliver forecasts at roughly 26 kilometers per pixel, whereas the Taranis solution generates accurate field-level forecast weather patterns at 4 kilometers per pixel. This data is supported by artificial intelligence that seeks to continuously optimize the accuracy of the solutions models over time across a variety of geographic regions. Stepping back to the broader equity crowdfunding landscape, there are a number of players entering the market with the potential to catalyze new and exciting cleantech solutions. Over the coming weeks, we will feature a number of startups that have been funded by OurCrowd. OurCrowd’s veteran team of financial professionals identify and vet investment opportunities, invests its own capital, and leverages a community of over 20,000 accredited investors to fund, support, and grow global technology startups. For more information about OurCrowd at OurCrowd.com.